Eyesight is a very precious thing, but many people take it for granted. They don’t think about how difficult even simple tasks become without proper vision. The bad news for Americans is that eye problems are on the rise. The National Eye Institute has sobering news. They estimate that by 2050 the number of Americans with eye problems will be double the 2010 rate. Because of this, it is very important to take care of your eyes. Here are 10 tips that you can use to help keep maintain top notch vision health. Screen time is not very good for your eyes. It doesn’t matter whether it’s a TV, computer, tablet, phone, or laptop. They all have a rather negative effect on your vision. The problem is the contrast and glare that are present in all types of electronic screens. After extensive use, people can begin to experience a variety of symptoms. Try to give yourself some distance when using a screen. A computer should be at least at arm’s length and 16 inches for a handheld device. One of the reasons why screens can cause problems is that we tend to stare at them for long periods. To avoid this behavior and alleviate symptoms, take blink breaks. There is a 20/20/20 rule for this. Every 20 minutes look at something at least 20 feet away for 20 seconds. Let yourself blink naturally during that time. Keep up this habit. It doesn’t take much effort and can make a huge difference for your vision health. If you work from home, you may spend 8 or more hours a day looking at a screen. 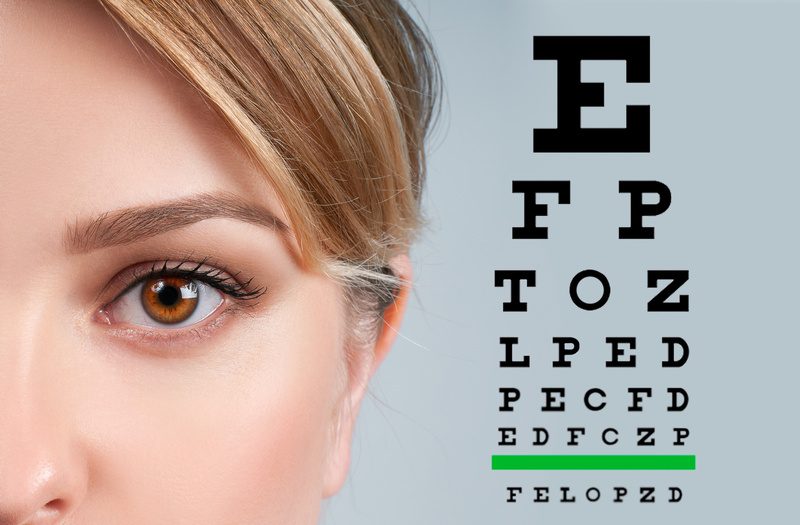 This is a quick, easy way to ease screen symptoms and improve your eyesight. You already know that smoking isn’t very good for your heart or lungs. Did you also know that it isn’t good for your eyes? People who smoke are at higher risk for age-related eye diseases. This would be issues like macular degeneration or cataracts. The habit also damages your optic nerve over time. This is just one more good reason in a long list of them to avoid smoking. Strong UV rays from the sun also do damage to your eyes over time. Constant exposure can be a factor in speeding up age-related diseases like cataracts. If you are a person that spends a lot of time outdoors, you should use sunglasses. Invest in a good pair of sunglasses, preferably with polarized lenses. Be sure that the pair you choose is rated to block out 99% of UV radiation. Ever wanted a good excuse to take more naps? Well, here it is. Getting plenty of sleep can help improve your vision health. Your eyes need time to rest as much as the rest of your body does. Your diet can also have a huge effect on vision health. Omega-3’s are not only fabulous for heart and brain health. They also help reduce your risk of certain eye diseases and can even improve the quality of your tear film. Fatty fish is a great source of omega-3’s. Five or six 4-ounce servings a week is a good amount to ensure you get enough. You can also take a fish oil supplement, from which you get a good dose of antioxidants. These are also helpful in staving off age-related eye issues. Another key dietary item is your leafy greens. It sure seems like leafy greens are good for everything, aren’t they? You may have thought that carrots were the go-to vegetable for better vision health. A good boost of Vitamin A certainly helps, so keep eating them! But, in reality, lutein and zeaxanthin are super nutrients for your eyes. Eat lots of leafy greens, broccoli, Brussels sprouts, peas, and zucchini to stock up on these. If you wear makeup, be careful about your habits. It is good practice to throw away tubes of mascara after 3 months. They can become breeding grounds for bacteria very fast. For the same reason, it is not a good idea to share makeup with other people. While your body may be used to your own bacteria it’s a shock to encounter someone else’s. If you like to wear eyeliner, we don’t recommend applying it inside the lash line. This inhibits the flow of oil from your glands whose job is to moisten and clean your eye. If you wear contacts, it is important to take care of them the correct way. Many people are in the habit of moistening their contacts with spit. This is such a horrible idea in so many ways. The mouth is full of nasty bacteria that you do not want to have in your eye. Always use clean saline solution to clean and moisten your contacts. Wash your hands before handling them and keep the case clean. Try to give your eyes a break by wearing glasses once a week. Did you know that eye health is intricately connected to the rest of your body? Your doctor can see signs for everything from cardiovascular problems to diabetes. Even if you don’t wear glasses or contacts, you should still see a doctor once a year. This is a great way to catch preventable or treatable diseases early on. This eye doctor is a fantastic place to start (and end) your search for a good doctor. Eyesight is such a precious gift that many of us don’t even think about every day. As you grow older and begin to experience the effects of aging you’ll understand even more. If you don’t already take good care of your eyes, start today. Trust us when we say you’ll never regret your investment in vision health. For more great tips and insights about life, visit our insights section. We have all sorts of random information to help you lead a better, healthier lifestyle.